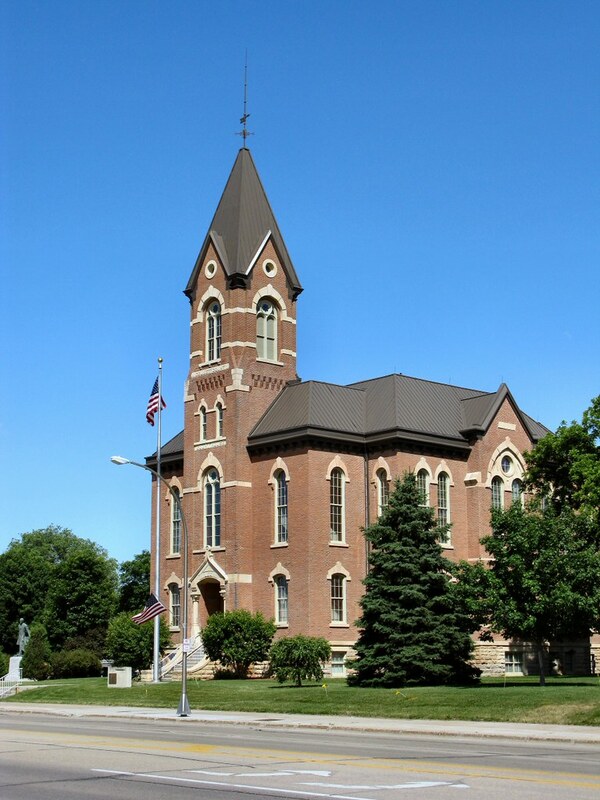 The circa-1881 Nicollet County Courthouse in St. Peter, Minnesota. It was designed byarchitects Edward P. Bassford of St. Paul and Edward S. Stebbins of Minneapolis. The size and grandeur of this building has always impressed me. It's nice that soem cities have the decency to hang on to their historical structures.